Epic Games could probably start printing its own money at this point, with the Fortnite player count now bigger than the population of all but the largest countries, and monthly revenue in the hundreds of millions. So perhaps it’s of little surprise that the company is giving away one of its most consistent revenue streams for free. 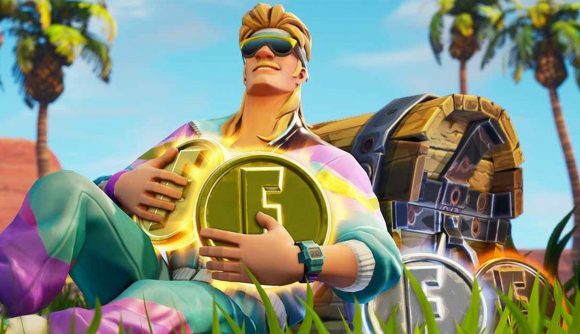 Epic has announced that the Season 8 Battle Pass will be entirely free to those players who complete the 13 new ‘Overtime Challenges’, which will go live with today’s 7.4.0 patch. Finish them all off within the next two weeks, and you’ll get all of next season’s Battle Pass content completely free. The latest patch also introduces a new LTM, Catch, which removes all guns from the game in favour of throwable items. There’s also the new Infantry Rifle, which won’t deal loads of damage but also won’t suffer from damage fall-off. On top of that, there are tweaks to several other items, including the Rocket Launcher, Hand Cannon, and the Bush. The outpouring of generosity from Epic is likely a result of the instant success of Apex Legends, at least in part. With Fortnite in its off-season thanks to the delay to the start of Season 8, and Respawn’s battle royale proving immensely popular, making an attempt to keep people around is a smart play. As the patch is yet to drop, we don’t know what the Overtime Challenges will be just yet, but we’ll find out later today. The Fortnite Season 8 release date is likely to be February 28, so you’ll have a couple of weeks to make your way through the challenges.